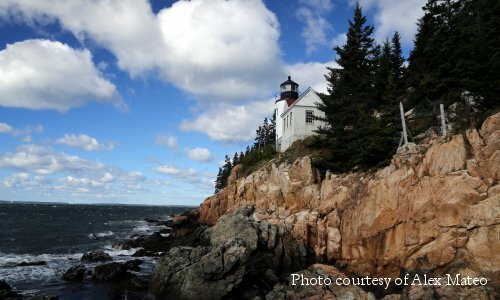 The Chamber is an official stampholder for the Bass Harbor Head Lighthouse. If you hold a Lighthouse Passport from the U.S. Lighthouse Society stop by the Visitors Center to get your Bass Harbor Light stamp. The Lighthouse Society was established to celebrate and preserve lighthouses through education and entertainment. Their website is full of interesting information about lighthouses past and present. The Society sponsors a Passport program featuring specially designed stamps for each lighthouse. Passport holders collect stamps from lighthouses around the country. Filling a passport entitles you to limited edition patches recognizing your achievement and dedication to lighthouse preservation. If you don't have a passport, you can get one at http://www.uslhs.org/store_merchandise.php. 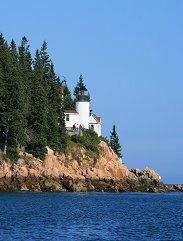 Bass Harbor Head Light is a popular destination in Acadia; its image represents Acadia National Park on the U.S. Mint's America the Beautiful series of quarters. The lighthouse sits at the entrance to Bass Harbor, just off Route 102A in the Town of Tremont.